Design plays an important role in the development of modern furniture fittings. On the one hand, well-thought-out solutions support design trends. On the other, they excel in their own right in terms of design and function. Austrian manufacturer of fittings, Blum, is pleased to announce that it has recently won another much sought-after award – for not just one, but two products. The company was presented with the German Design Award 2019 for EXPANDO T, its innovative fixing mechanism for thin fronts made of unusual materials and the AVENTOS HK top stay lift which is linear in design and small in size. What is more, Blum has also bagged the iF Design Award for its new lift system. The German Design Award is presented by the German Design Council, which is based in Frankfurt am Main. The non-profit foundation strives to raise awareness about the importance of good product design and rewards innovative products and projects, manufacturers and designers who are pioneering in the German and international design landscape. The iF Design Award, which was first presented in 1954 by iF Industrie Forum Design e. V. in Hanover, rewards outstanding industrial design and aims to build a bridge between culture and commerce. Manufacturer of fittings, Blum, increased its turnover by 2.8 % in comparison to the previous year and recorded 1,839.42 million euros in turnover in the business year ended 30 June 2018. Growth amounted to 5 % adjusted for currency effects. Blum achieved 48 % of its turnover in the EU area and 15 % in the USA. The fittings specialist delivers its products to more than 120 countries all over the world and is represented internationally by 30 subsidiaries and representative offices. It has been decided that the third generation will take the helm of Julius Blum GmbH on 1 July 2019. “Our success is mainly due to the high performance of our team worldwide and the excellent collaboration between all our departments and organisations,” says Managing Director Gerhard E. Blum, underlining the importance of employees to Blum. On average, the fittings manufacturer employed 7,509 persons worldwide, which is a growth of 368 employees in comparison to the previous year. In addition, 94 new apprentices (15 of whom girls) will start a technical course of training with Blum Austria on 1 September. The Blum Group will provide vocational training to 361 apprentices (19 of whom at Blum USA) as of autumn. Most markets in Western Europe achieved an increase in turnover in the 2017/2018 financial year. The company benefited from continued recovery in South European markets and recorded ongoing positive developments in Eastern Europe. The upswing of the Russian market was very pleasing. The strength of the euro had a negative impact on sales in America, the Pacific region and in Asia over the last 12 months. This led to a decrease in turnover in North and South America, although the development was positive in the national currency. In Asia, above all in India, China and South East Asia, growth continued despite negative currency effects. The first production hall of the new Stamping Centre (Plant 8) in Dornbirn was completed and employees started moving into the new premises before the start of the holiday shutdown. The high bay warehouse with 11,600 places will go into operation at the same time. The second production hall should be completed by April 2019. Employees will move into the new office building at Plant 2 in Hoechst from September to December 2018. A substantial amount is also invested in Blum’s market organisations to further improve the company’s offering worldwide. For example, a new high bay warehouse was put into operation in Poland, and a new showroom opened in Slovakia. The extension to the office building and warehouse in Portugal should be completed by September 2018. Investments of the Blum Group totalled 216 million euros in the 2017/2018 business year. Blum attaches importance to environmental protection and careful use of resources. That is why the company has been investing in environmentally-friendly measures for decades. Since the start of 2018, 100 per cent of Blum’s energy has been generated from certified hydropower. With this measure the manufacturer of fittings intends to reduce its CO2 emissions in Austria by well over a third. Blum has teamed up with other companies in the province and is an active member of three environmental protection networks: Climate Neutral Alliance 2025, the Energy Efficiency Network and the “Wirtschaft Mobil” network. 13 electric cars are at employees’ disposal for business journeys in the region. Being one of the largest employers in the region, Blum supports its employees in using environmentally-friendly modes of transport. The company advertises and actively promotes ecological campaigns such as the “Radius - Bike to Work Competition” held throughout Vorarlberg. For Blum, the Eurocucina in Milan is a very important international trade show. It provides a yardstick to assess how well furniture manufacturers accept the company’s products. This year in Milan, customers displayed many new Blum products which the company had presented at trendsetting interzum in Cologne the previous year. These included Expando T, the unique fixing method for thin fronts of special materials which opens up completely new design horizons and the new Aventos HK top lift system. Customers also presented the multitude of differentiation options offered by Blum’s box systems. There is still a very strong trend towards handle-less designs which can be implemented with Blum’s wide range of motion technologies (both mechanical and electrical systems). All motion technologies are tailored optimally to every application. Blum again extended its offering of services in the last business year. In addition to products, services are an important part of Blum’s overall performance. The transition to the next generation in Julius Blum GmbH will be initiated at the start of this financial year. Managing Directors Gerhard E. Blum, Philipp Blum and Martin Blum will jointly manage the company from 1 July 2018. They will be supported by longstanding employees Urs Bolter (Managing Director of Blum International Consulting) and Gerhard Humpeler (Head of Finance). The Management Team and the Corporate Management Group will gradually take over the responsibilities of Gerhard E. Blum as of the start of the 2018/2019 financial year. After the transition on 1 July 2019, Gerhard E. and his brother Herbert Blum will continue to jointly manage the holding company of the Blum Group. “We will approach the new business year with restrained optimism. There are many question marks and there is a great deal of uncertainty about future developments. On the one hand, the Brexit process in Europe has still not been clarified and it is uncertain what direction the EU should take. On the other hand, we are deeply concerned about growing national interests, e.g. the mutual imposition of tariffs and an escalation of economic sanctions,” says Gerhard E. Blum, providing a prudent forecast of the forthcoming financial year. Blum’s innovative fittings solutions in all three product segments (lift systems, hinges and pull-outs) support the implementation of modern furniture. They provide extensive scope for differentiation and individualisation and even more practical benefits. “We’ve been building our presence in markets all over the world for more than five decades so internationalisation is firmly rooted throughout our company,” said Managing Director Gerhard E. Blum, explaining the company’s exporting history. Speaking at the ceremony he went on to say that the key to success in global markets was the ability to be open to different mentalities and consequently to acknowledge and respect different cultures. But he also pointed out that the second strategic pillar to success was innovative products combined with high investments in R & D and the capacity to adapt products to specific national requirements. This required profound knowledge of customer needs and international markets. Blum’s management recognised early on that it would have to focus on exporting products to achieve sustainable success. Today, Blum exports 97% of its products to more than 120 countries around the globe. The fittings specialist from Hoechst is represented all over the world with 29 subsidiaries and/or agencies in the four corners of the earth. These were the factors that weighed strongly in Blum’s favour. The company was presented with the Global Player Award by the Austrian Chamber of Commerce on 26 June. The award is given to companies that have built up a strong position on the global market over the years. In addition, the award winner must operate an efficient international network and even be regarded as a pioneer in a specific country or industry. Candidates are nominated by Austria’s Foreign Trade Office. 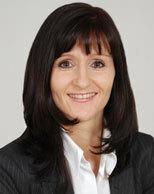 The jury consists of prominent members and is chaired by President of the Austrian Chamber of Commerce Christoph Leitl.